U.S. Attorney General Loretta Lynch speaks at an event for the American Bar Association in Chicago Saturday afternoon. CHICAGO (WLS) -- United States Attorney General Loretta Lynch told a group in Chicago that "safeguarding the security of our homeland" is her highest priority. 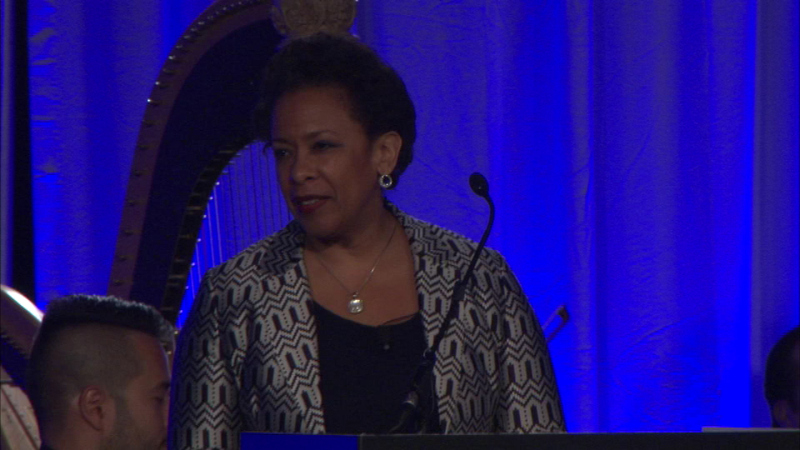 Lynch was in town Saturday afternoon speaking to the American Bar Association. She said the Department of Justice would use all the tools available to keep America safe. "Those who wish to do us harm are gaining access to tools including communications technologies, allowing them to recruit and to organize and to attack as never before," she said. Lynch said that security threats in cyberspace are of particular concern.